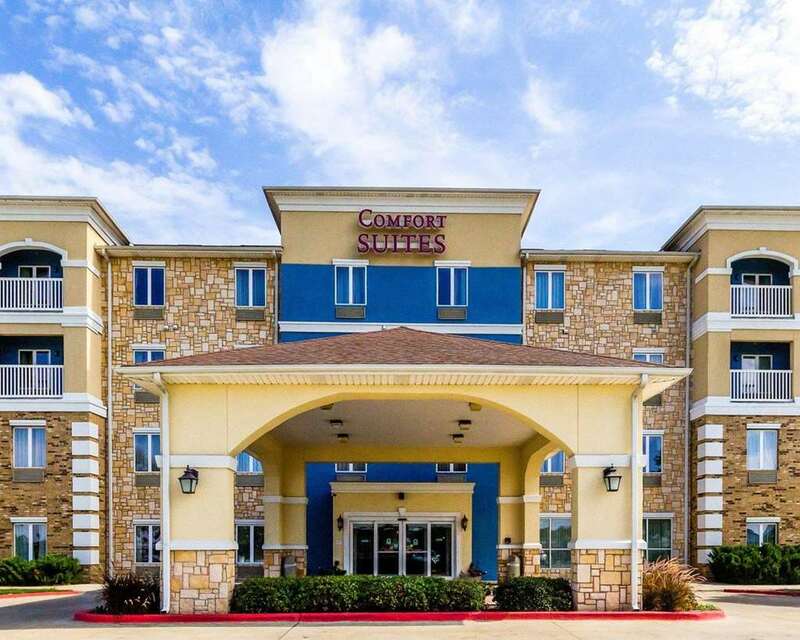 Get more of the space you need to spread out, relax or work at the smoke-free Comfort Suites Central hotel in Corpus Christi, TX near the Corpus Christi Marina, Corpus Christi Beach, Texas AandM University, Texas State Aquarium, USS Lexington Museum and the Corpus Christi International Airport. Enjoy free hot breakfast, free WiFi, a fitness center and meeting space. Your spacious suite offers 25 percent more space than the traditional room and amenities like a flat-screen TV, fridge, microwave, coffee maker, recharge device and hair dryer. Also, earn rewards including free nights and gift cards with our Choice Privileges Rewards program.